How would you like to win tickets to see Mac Powell And The Family Reunion live at the Bartlesville Community Center? Well KXOJ and Phone Doctors want to make that happen. 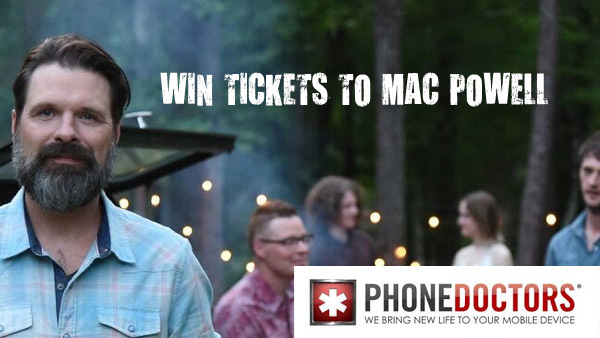 Join KXOJ at select Phone Doctors locations around the Tulsa Metro as we give away tickets to see Mac Powell on April 28th. Just stop by and register for your chance to win. We’ll have tickets to giveaway all hour plus other great KXOJ prizes. It’s all from your friends at Phone Doctors and 94.1 KXOJ! All events are from 12pm-1pm.